Today, Thursday, August 18th, 2016, we will be hosting a special #QBOchat for Intuit’s #SmallBizAppShowdown. Some of you might be asking – what is this new hashtag?! What did I miss out on? Well, we have the answers for you! 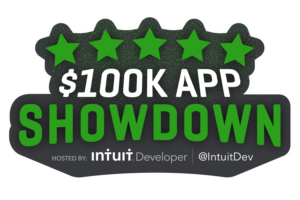 The #SmallBizAppShowdown competition was open to all apps published on Intuit’s QuickBooks App Store between January 1, 2016 and August 15, 2016. All of those Apps were able to submit a contest entry form. This all was done by their deadline of August 15, 2016. What are these Apps competing for? Well, it is pretty cool!! The top ten finalists will come to QuickBooks Connect to show off their apps and compete for a grand prize of $100,000. As a part of their prize, they are going to get an awesome space at the QuickBooks Connect exhibition hall so they will be able to show off their awesomeness to all of the attendees! 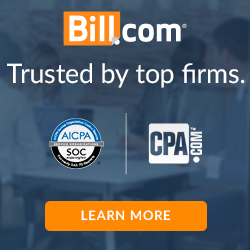 How does Intuit determine the top ten finalists? The answer is YOU! Apps are competing NOW to get your vote to become a finalist. Help out your favorite apps by returning daily to vote. Your vote will have a direct impact on how these finalists are determined. Intuit will be looking at their Public Appeal, App Reviews, Number of Connection to paid QBO Subscriptions Gained, Quality of the Integration with QBO, the App’s Innovation, and their Impact on the Small Business problem/impact they worked to solve. What does #QBOchat have to do with this? Well, we are huge App supporters and want to help these new Apps spread the word about their App. So, we regularly do a #QBOchat to introduce those new Apps to our community. Today, we are opening it up to all the current contestants in the #SmallBizAppShowdown. Considering what the Apps will be judged on, we think hearing the answers to our questions today will make sure you are fully equipped to submit your vote daily! What is your App’s name, what do you do, and when did you get published on Intuit’s Apps.com? What was the main problem you were trying to solve when you first developed your App? What companies (or users) are the best fit for your App? Tell us about your users’ top 3 favorite features or benefits of your App. How is your App different from your competitors? What is the pricing of your App? Does your App have any programs for QuickBooks ProAdvisors? So, make sure to join our live tweet chat today and get your vote in daily for your favorite App! Voting ends August 31, 2016. Update: Here is the link to the transcript from this tweet chat. Are You #SmallBizAppShowdown Contestant? If you attend our live tweet chat, you can also submit your answers to us and we’ll post a separate blog post with them! But – you must attend today’s #QBOchat to get that opportunity!! 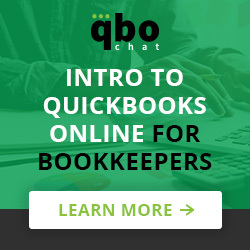 Just message us @QBOchat on twitter.